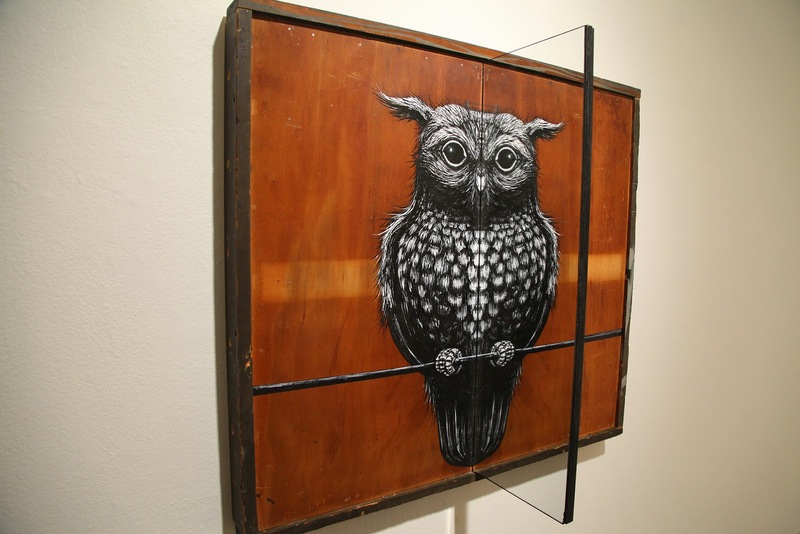 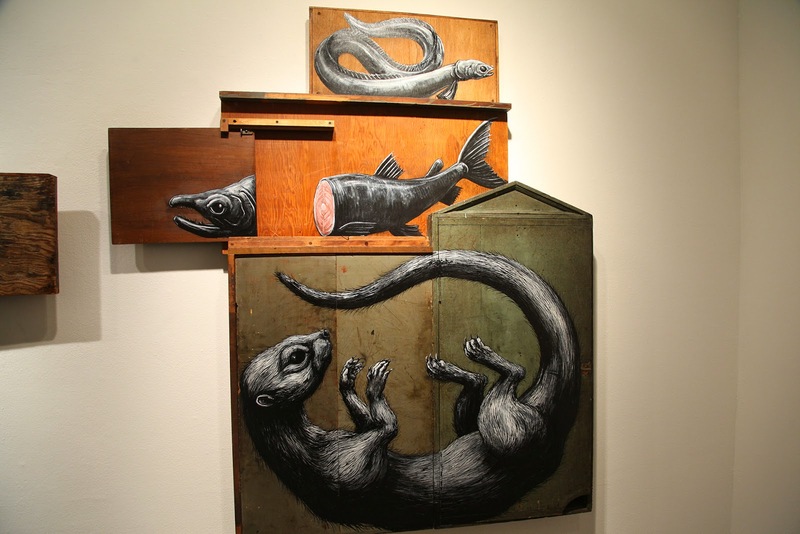 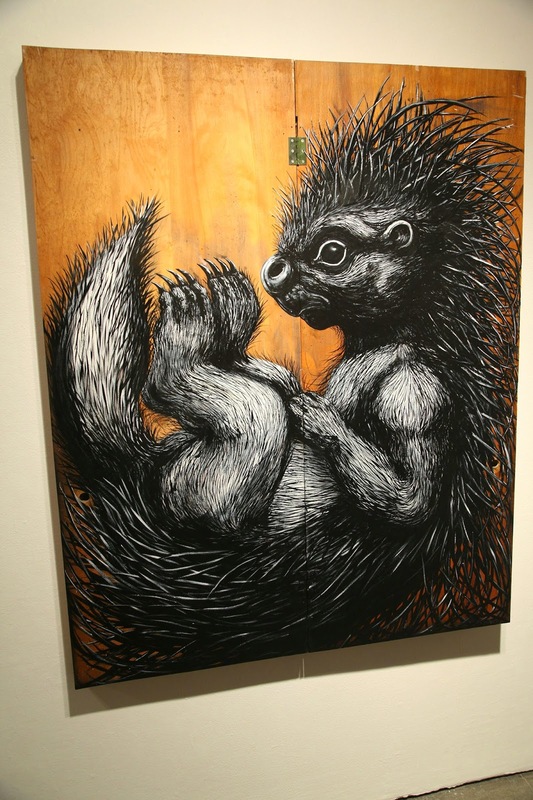 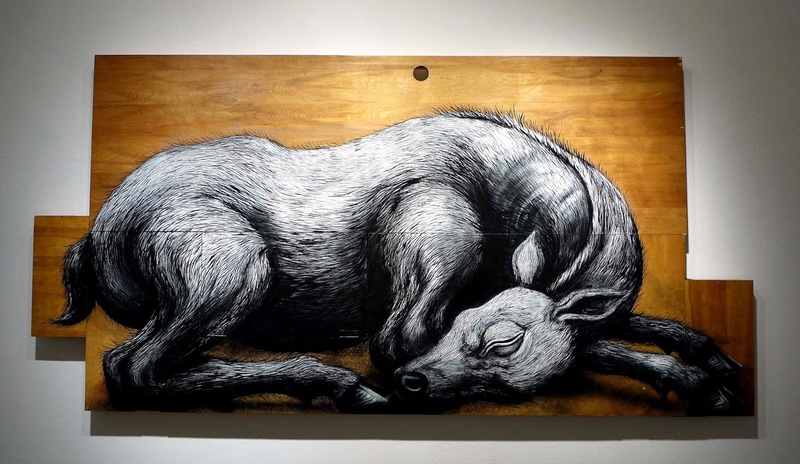 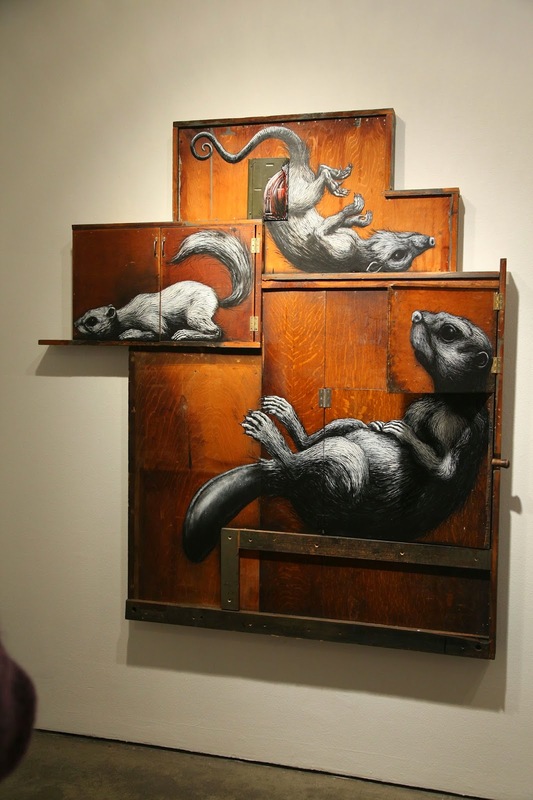 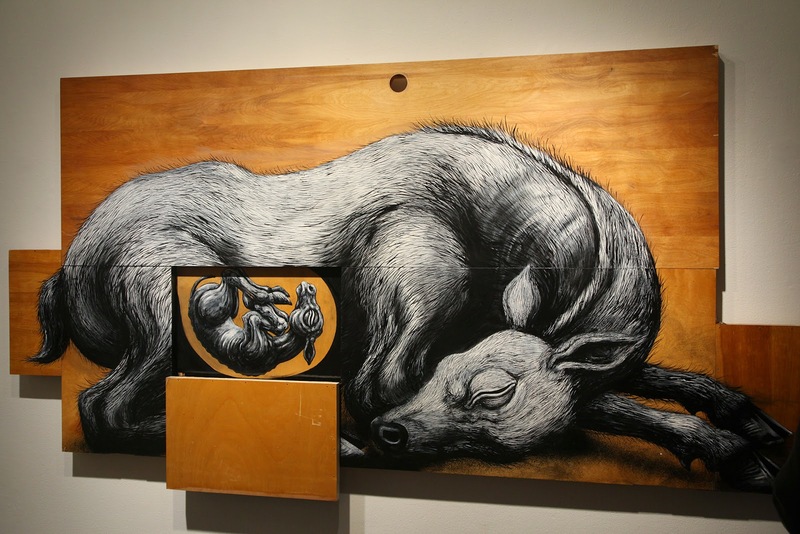 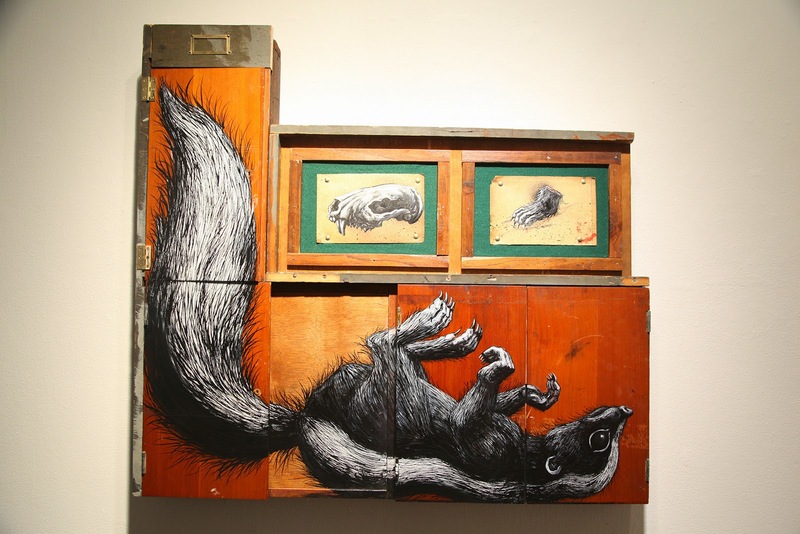 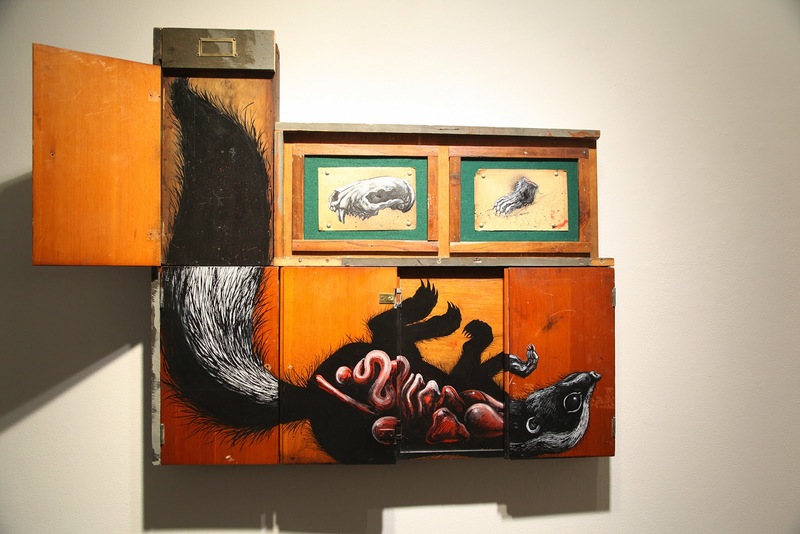 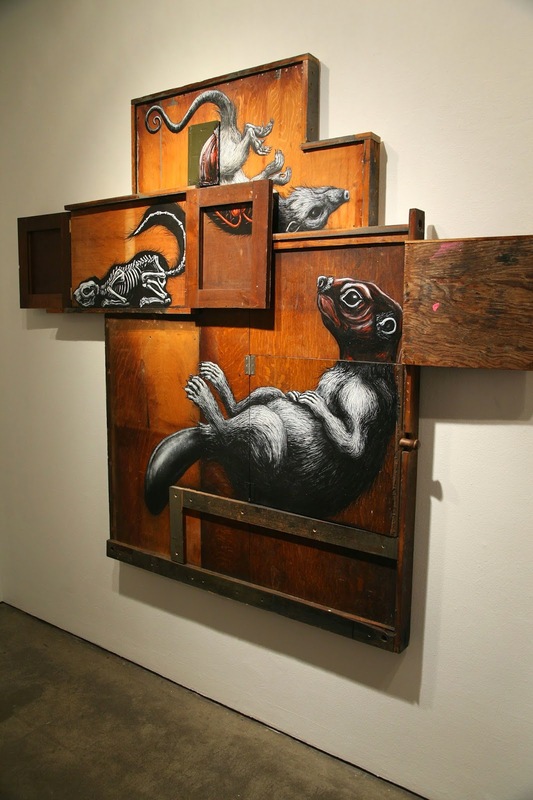 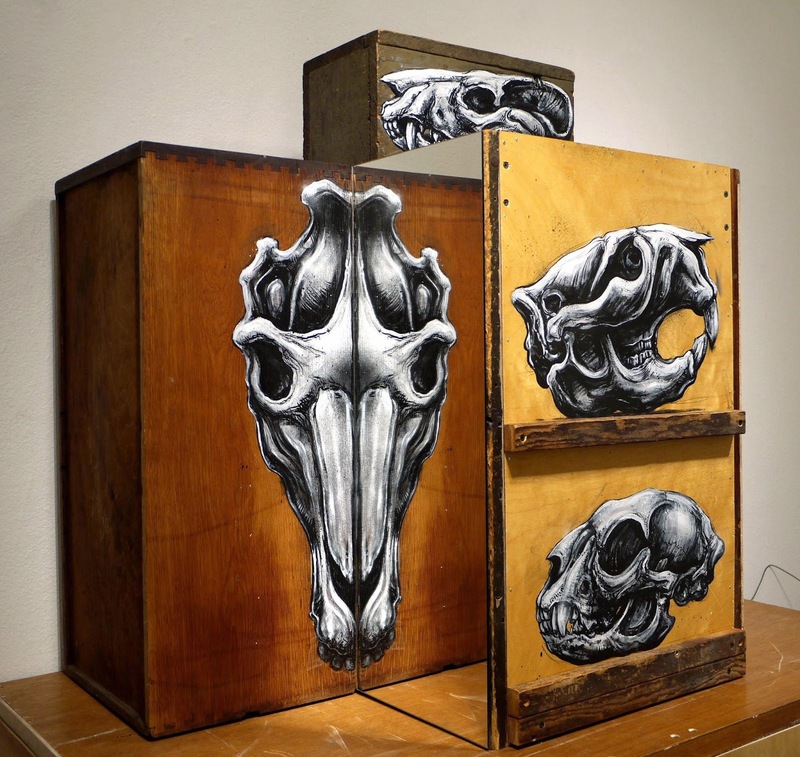 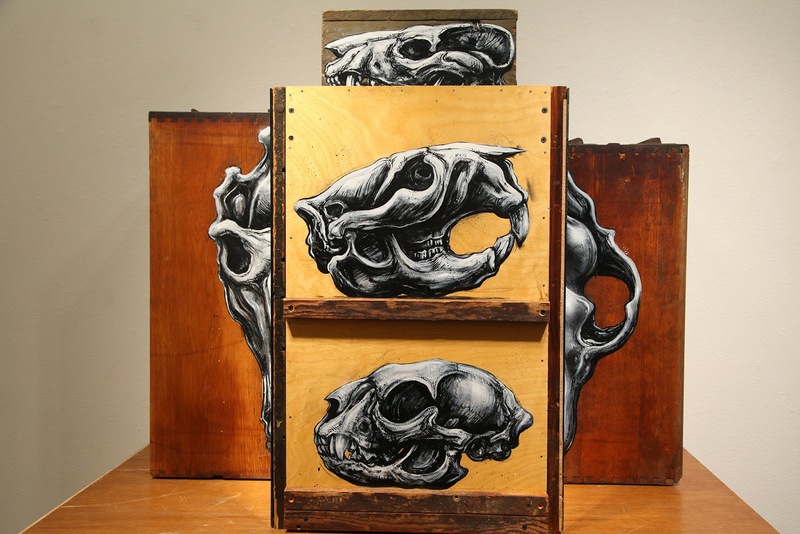 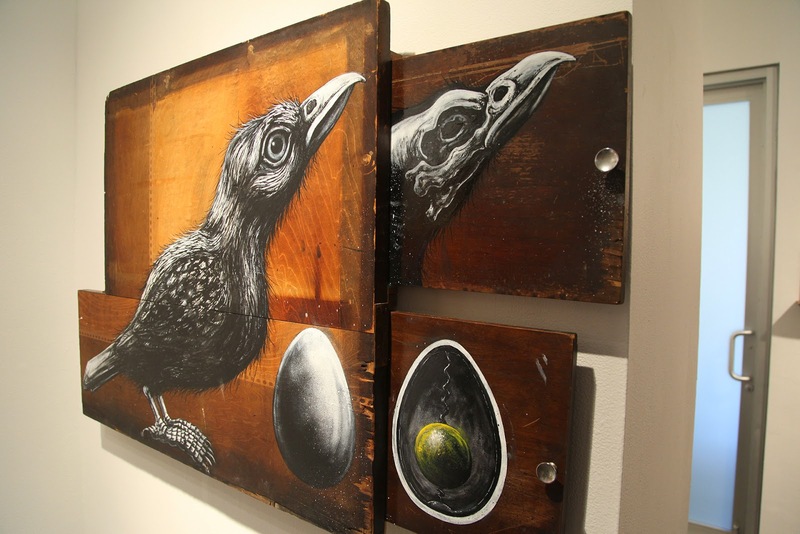 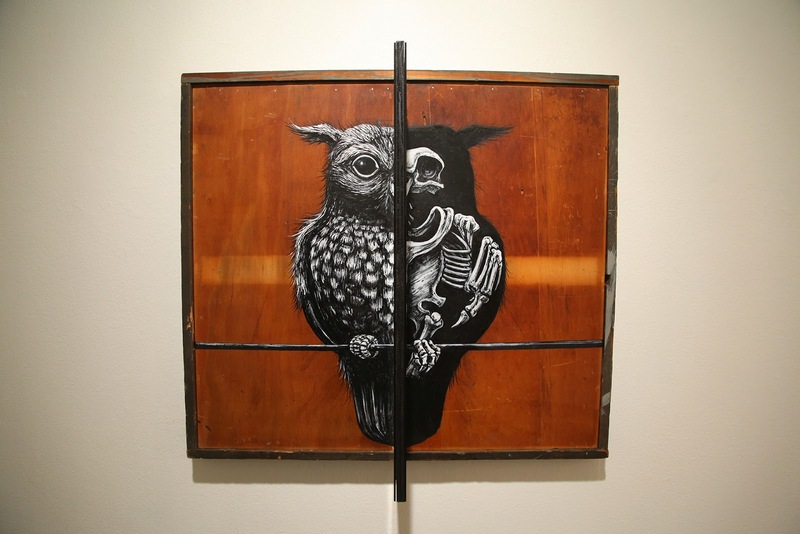 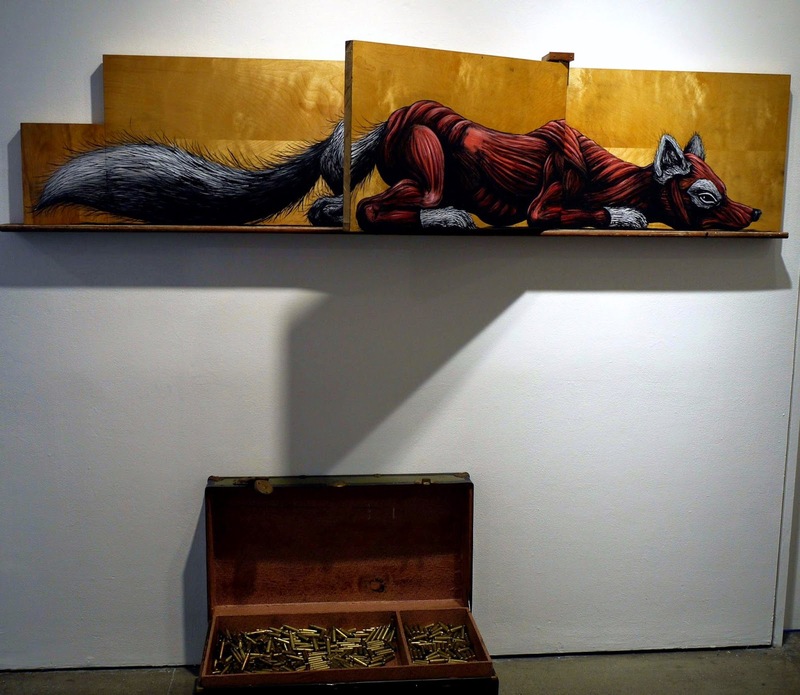 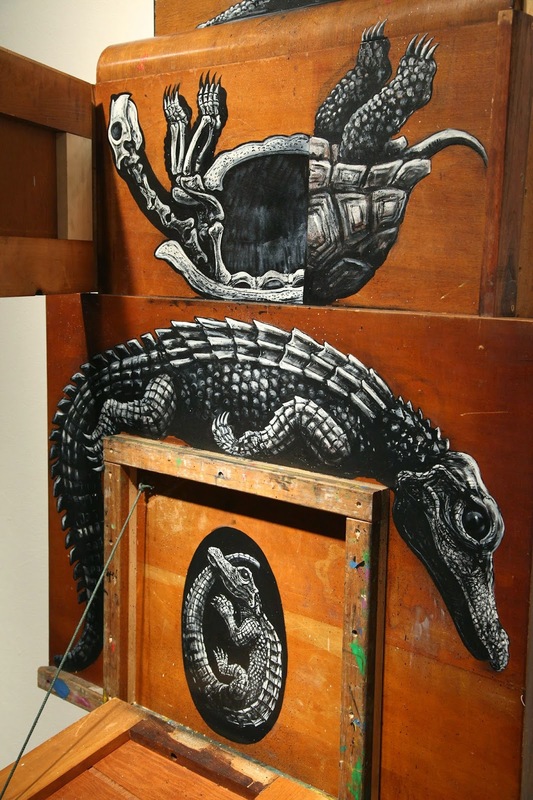 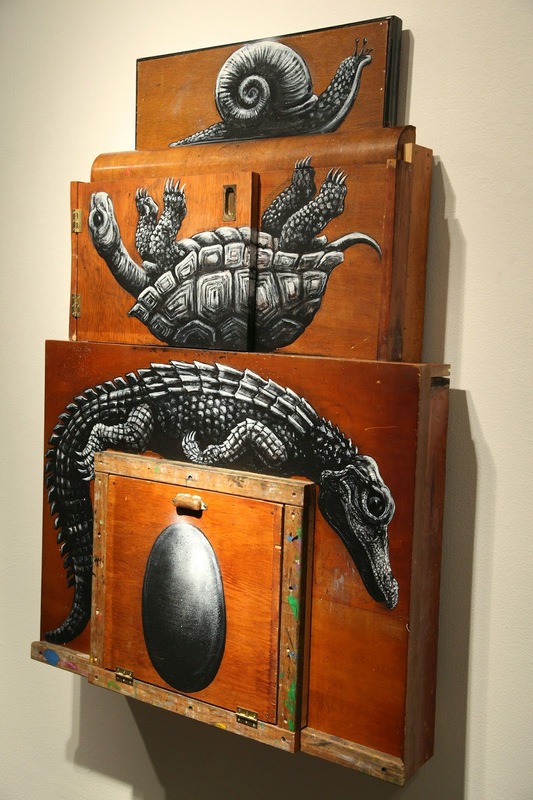 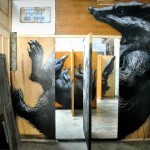 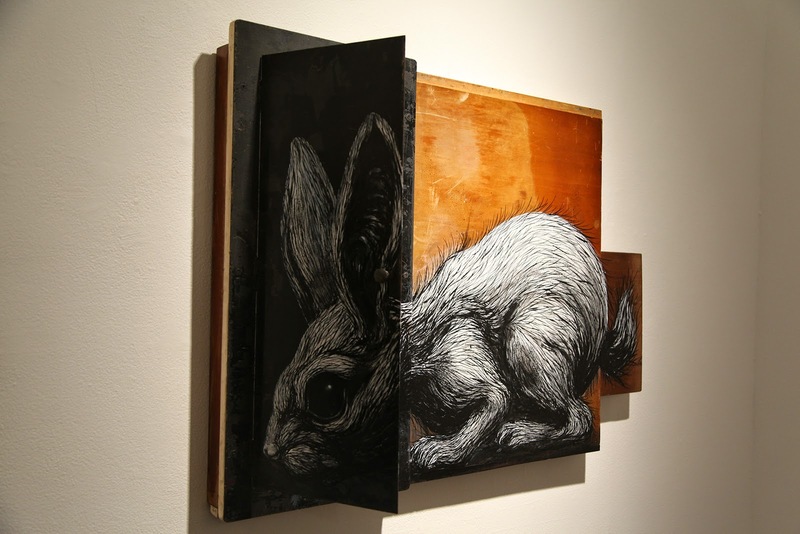 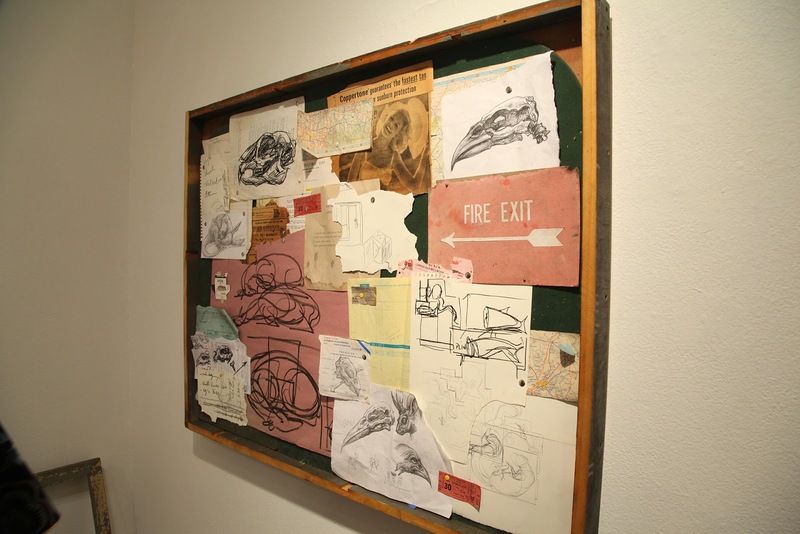 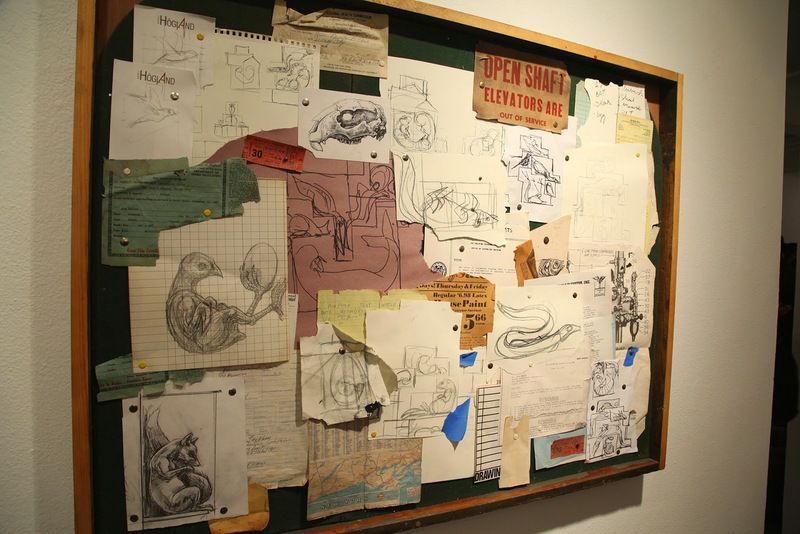 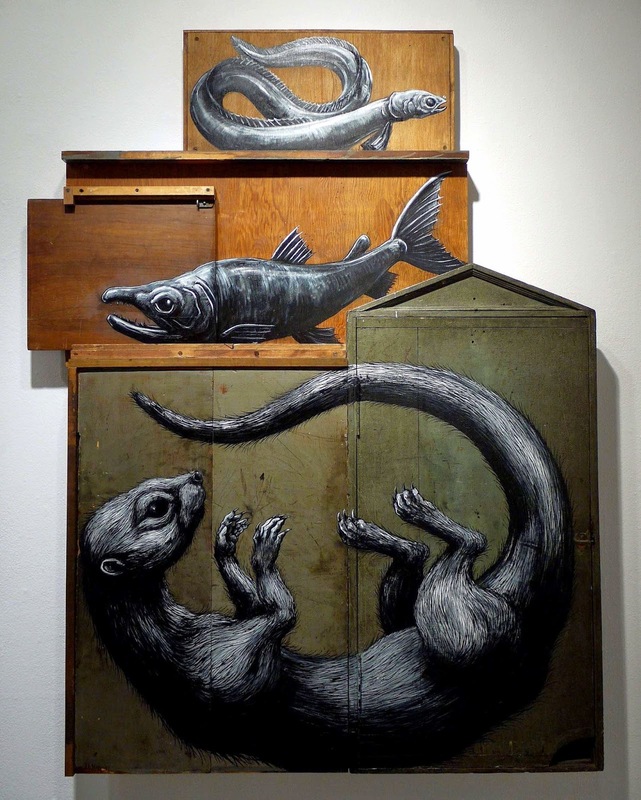 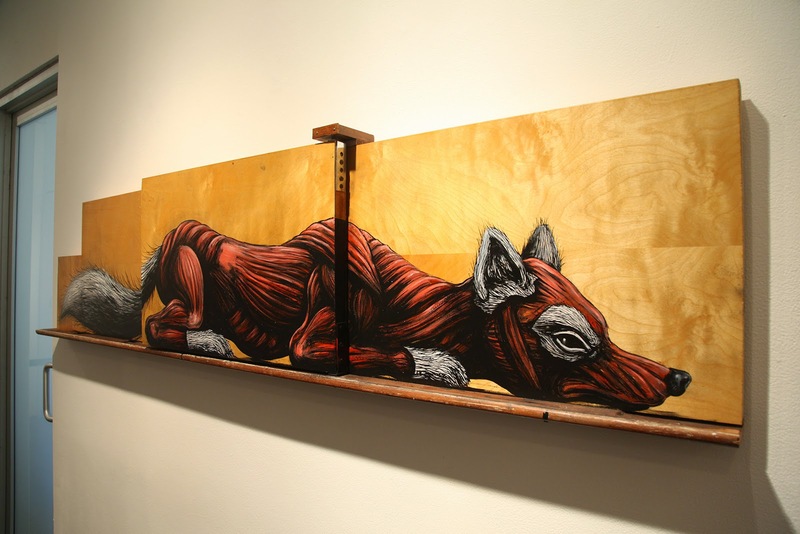 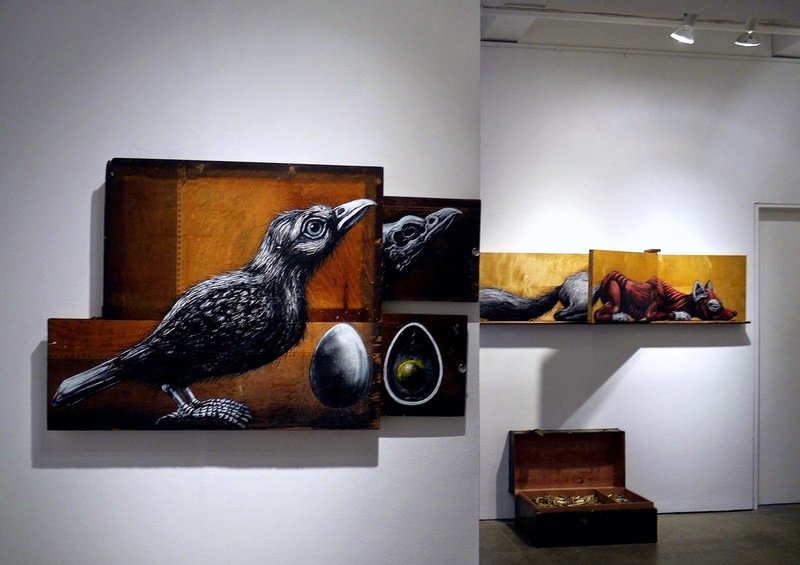 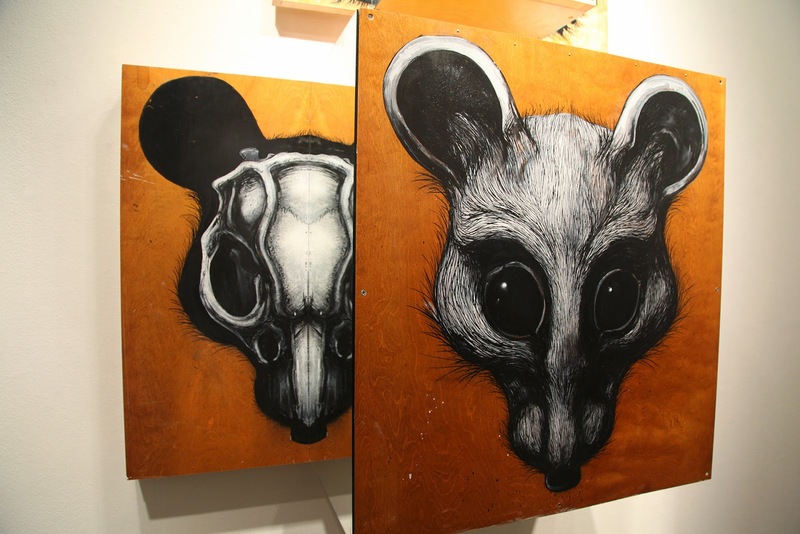 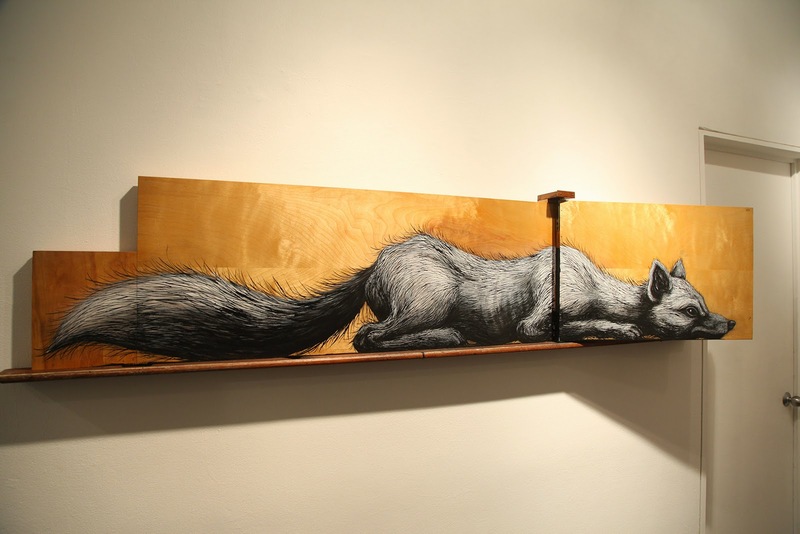 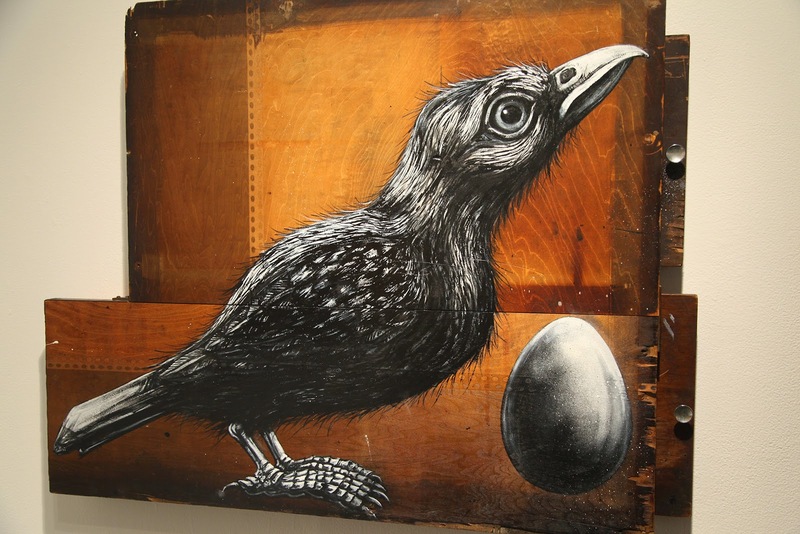 While we last heard from him in Hawaii last February, ROA spent the last few weeks in New York preparing his solo exhibition “Metazoa” at Jonathan Levine Gallery. 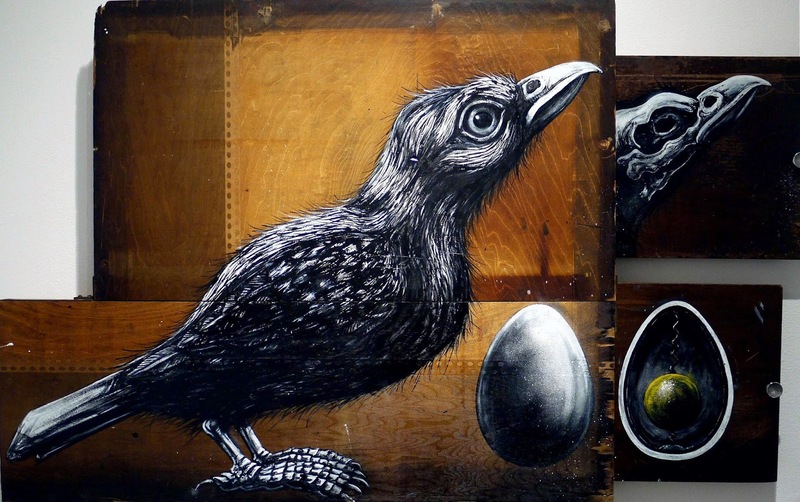 All of these amazing pieces were created during ROA’s residency at Mana Contemporary in Jersey City which will also bring a brand new mural on a building close to Holland Tunnel. 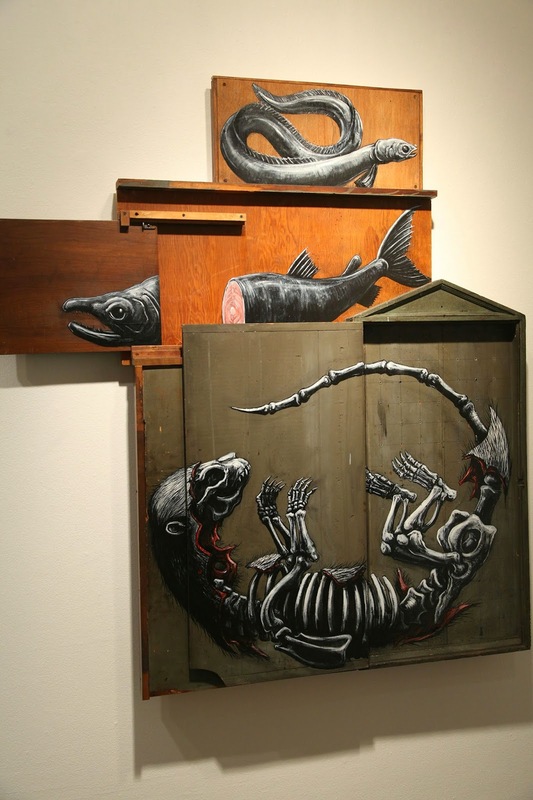 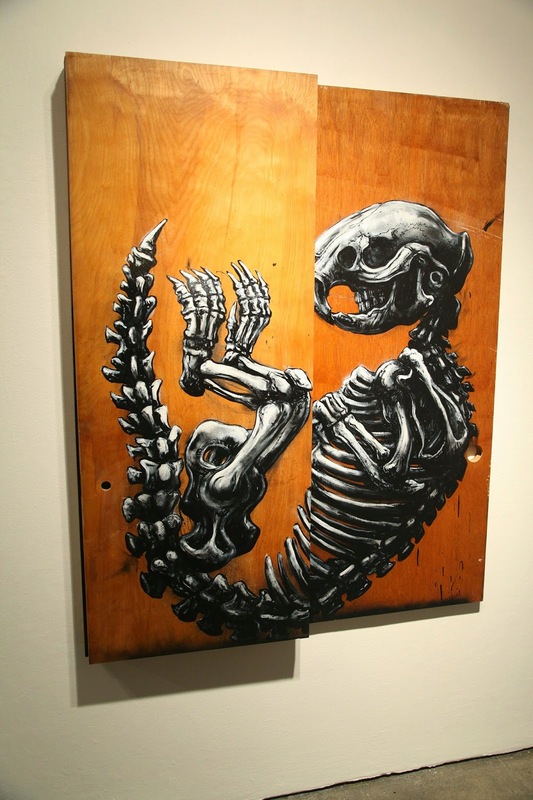 Predominately using a limited color palette of black, white and red, ROA painted his creatures with vivid detail, often including anatomical features such as skeletal structures or internal organs. 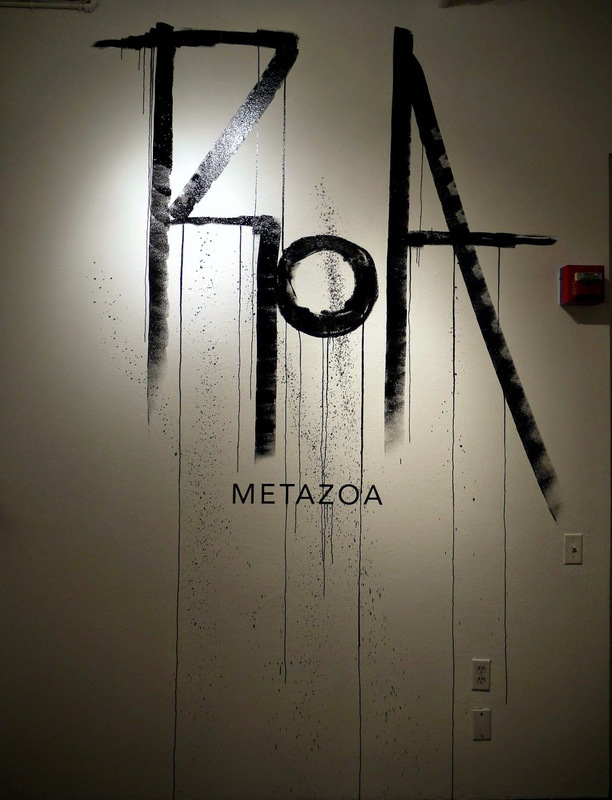 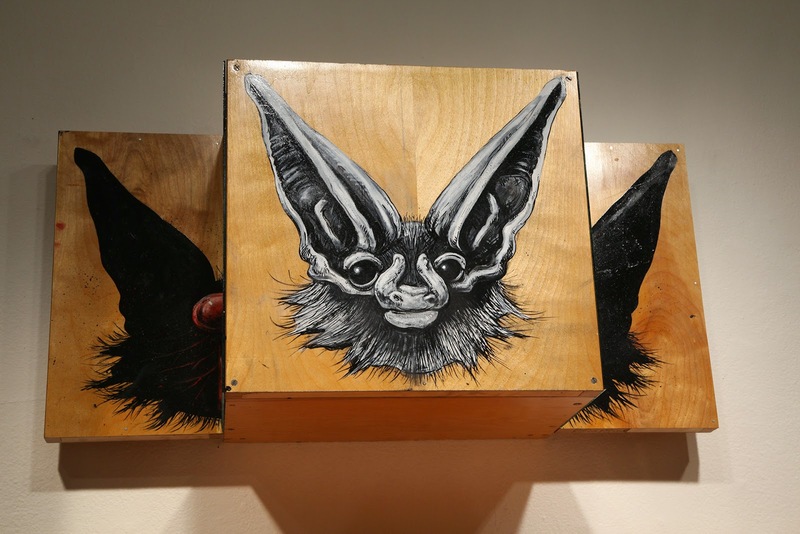 Hit the jump for more images from “Metazoa” and if you stop by New York City, the show runs until May 2nd on 529 West 20th Street. 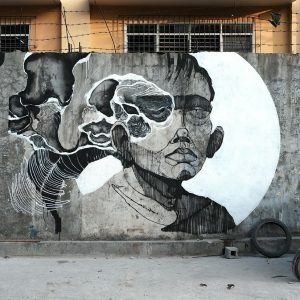 Rom is the founder & editor in chief of StreetArtNews. 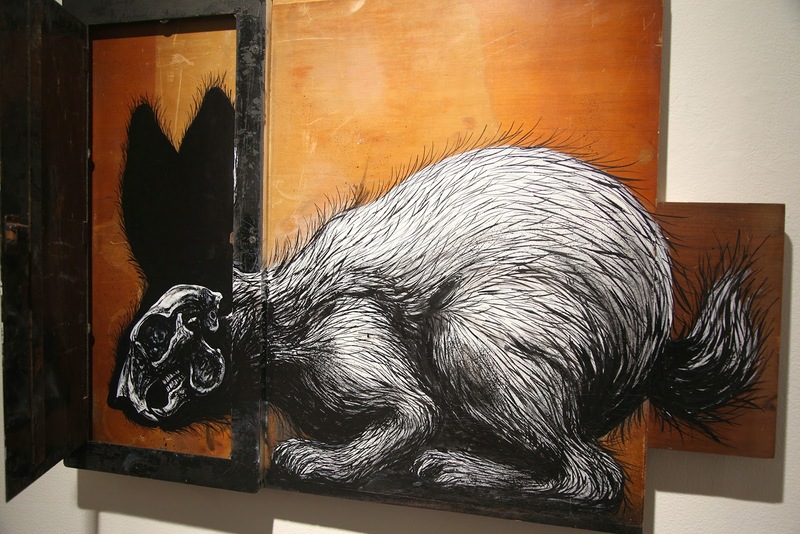 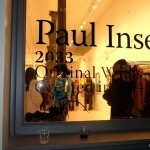 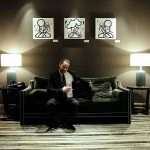 In 2009, he launched the ‘StreetArtNews’ website to promote underground art, which widened his scope to work with a larger roster of street artists on events and exhibitions. 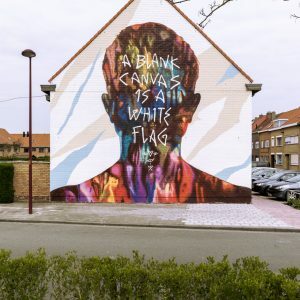 He is noted as one of the latest figures to help popularize street art and as an authority on the latest trends in urban contemporary art. 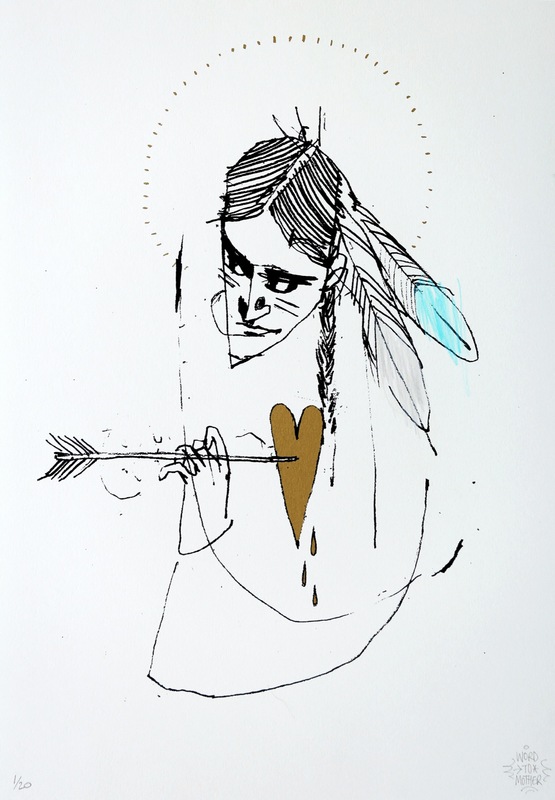 Word To Mother "Divine Arrow"